On 22 May, Energy and Resources Minister Chris Hartcher introduced the Petroleum (Onshore) Amendment Bill 2013 into the NSW Legislative Assembly. The Bill’s object is ostensibly to strengthen the compliance and enforcement framework for petroleum and mining operations. However, there are considerable concerns with how some of the Bill’s provisions would operate. 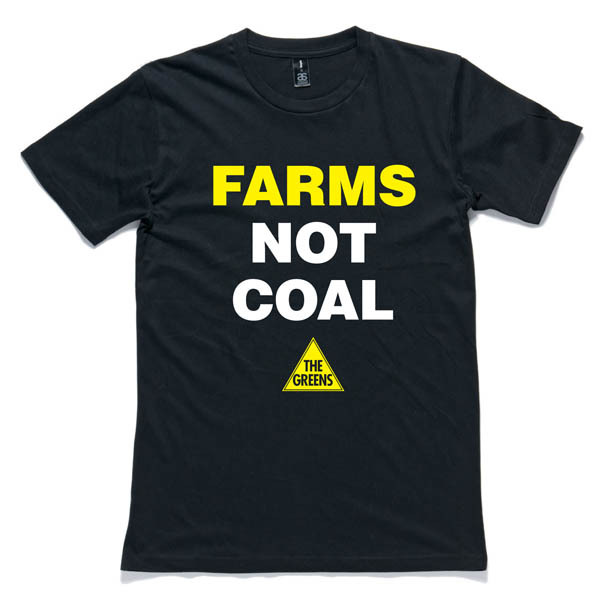 Fundamentally, the Bill still fails to rule out coal seam gas exploration from farmland, water catchments and sensitive environmental areas, and does not give landholders the right to ‘lock the gate’ to coal seam gas companies. On 28 May the Government rapidly pushed the Bill through the Legislative Assembly. 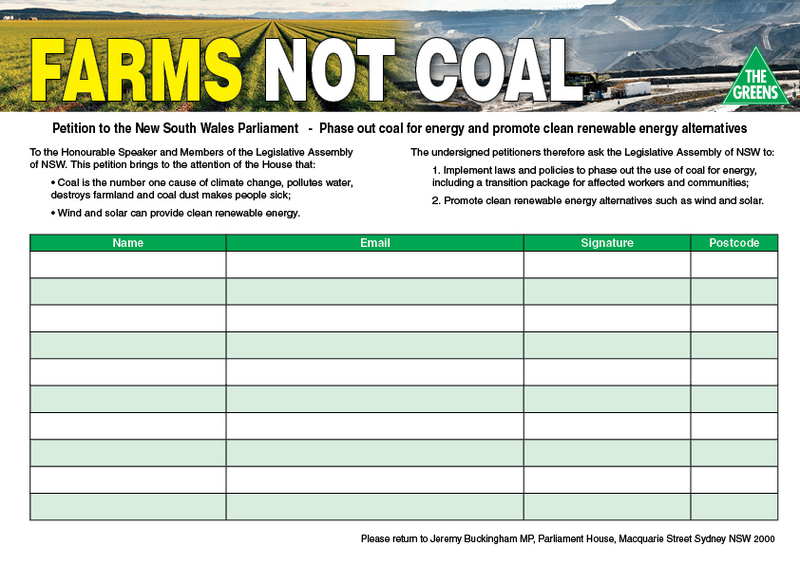 Only Greens MP Jamie Parker (supported by Independent Member for Sydney, Alex Greenwich) moved amendments, aimed at giving landholders the right to ‘lock the gate’ to invasive coal seam gas and coal exploration. On 29 May the Bill was slated to be voted on by the Legislative Council but has since been delayed due to overwhelming community opposition until the August sitting of Parliament. This provides the community an opportunity to urge the Government and Legislative Council MPs to improve the Bill before it is voted on in August. The Minister’s second reading speech, which gives a general overview of the Bill, is here. Access code provisions allows parties to opt out of mandatory provisions – Mandatory provisions should act as a minimum threshold for what a land access agreement permits, and should not allow parties to opt out. Further, the land access code should be published beforehand, so that the community and landholders can see what protections the mandatory provisions give to them and the environment. If the mandatory provisions are deficient in protecting landholders’ interests or the environment, it will be a significant failing of the Government’s supposed tough regulatory regime. Seismic surveys will be made easier – Removing the consent requirements for adjacent titleholders for conducting seismic surveys on public roads will make it easier for companies to prove up their resource. 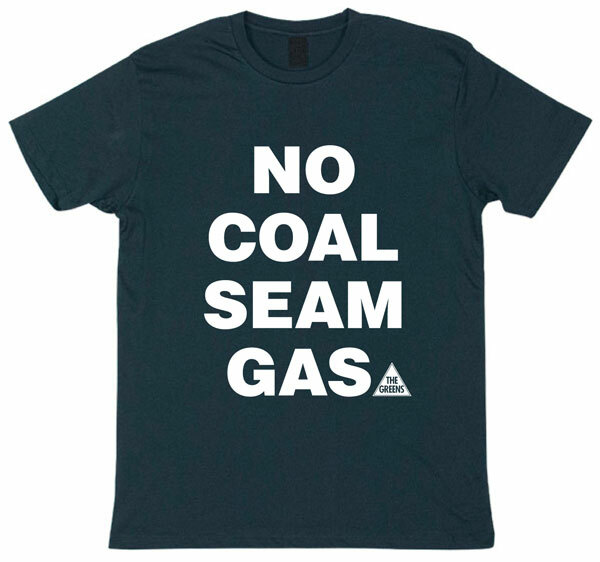 Fundamentally, the community overwhelmingly opposes coal seam gas, so precursor activities that inevitably lead to more invasive exploration and production is not something the Greens support. Furthermore, the impacts of seismic testing are not negligible, because seismic testing involves fleets of heavy vehicles, interruption to traffic, and an influx of workers. Suspension of conditions relating to the ‘working of the land’ have been extended indefinitely – Allows the Minister to suspend a condition of title related to the ‘working of the land’ for longer than 6 months, so that companies can “adjust to a new regulatory environment”. The industry can already seek modification of its work program under the Regulations, so why should the government make concessions for an industry that has failed to conduct the necessary due diligence checks and obtain a social licence? The premise of an exploration licence is “use it or lose it” and this change could potentially allow companies to speculatively ‘sit on’ exploration licences. There’s also the issue of transparency – requests for suspension should be included in the definition of ‘environmental information’ so that they are public. Provision for publication of ‘environmental information’ – is welcome, but to be effective there needs to be a mandatory requirement for the Director-General to publish such information. Else this provision risks being merely symbolic of transparency, but will fail in practice. Furthermore, why hasn’t environmental information been published already under the proactive release provisions found in the Government Information (Public Access) Act? If the GIPA Act was being followed, community groups would already have access to the information they need to regulate an industry where the Government has failed to. The definition of ‘environmental information’ should also be broadened to include information pertaining to suspension of conditions of a title; land access agreements where the Crown is a party and has opted out of the mandatory provisions; and requests to modify work programs. Audits ­– should be a mandatory condition of a title, rather than optional. Voluntary audits are particularly concerning because they may inadvertently act as a backdoor for companies to hide wrongdoing or non-compliance. The ‘protected documents’ provisions means documents obtained for the purposes of a voluntary audit will not be admissible in evidence, and cannot be used for enforcement. This may potentially allow non-compliant companies to conduct a voluntary audit immediately after an incident in an attempt to cover up their wrongdoing. It seems awfully perverse that this Bill should provide for mandatory audits, yet allow a company to potentially escape investigation by conducting its own voluntary audit, and thereby avoid scrutiny or prosecution. What is the Government’s motivation for doing this, and what impact will it have on the strong enforcement and compliance provisions which this Bill purports to uphold? 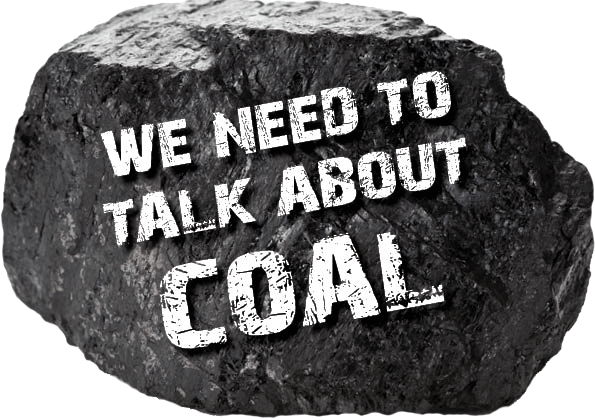 Time limits to bring proceedings have been extended – including obstruction and hinder offences, which raises concerns as to how this might apply to landholders who “lock the gate” to coal and gas companies. 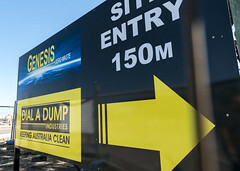 To extend the existing time frame from 1 year to 3 years is certainly welcome for recalcitrant mining companies who breach their operating or licence conditions, but it should not equally apply to landholders and community members who “lock the gate” and thereafter have to live under the shadow of potential prosecution for merely protecting their land and community. The Greens are seeking the following core amendments to the Government’s Bill, as well as others to address the concerns raised above. For a comprehensive list of the Greens’ amendments, click here. You will need to read these in combination with the Bill. 1. 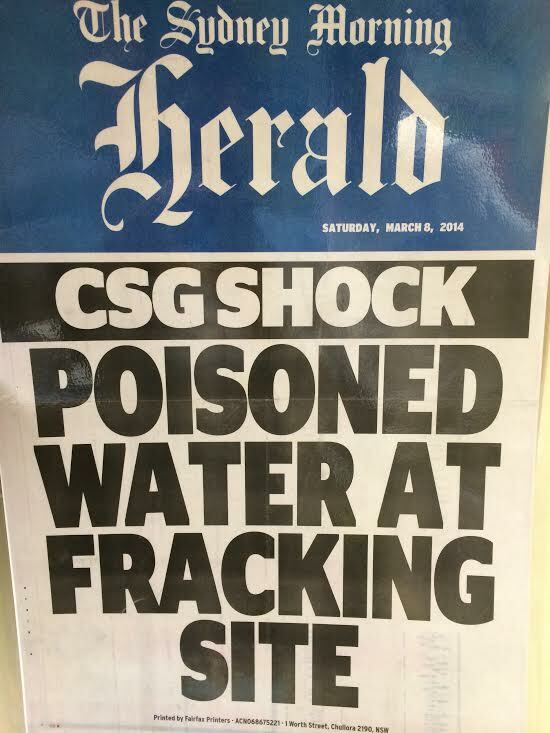 Give landholders the right to ‘lock the gate’ to coal and gas companies. Remove arbitration provisions that allow mining company being able to force their way on to a property through arbitration. 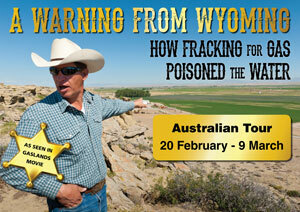 Include provisions that means mining companies and landholders must come to a voluntary access agreement. 2. Extend the negotiation period before forced arbitration. The current negotiation period before forced arbitration is a total of 56 days. The Greens have amendments to make this 180. This would allow landholders to obtain the requisite legal and expert advice in order to assist their land access negotiations. 3. Provide for the reimbursement of all reasonable legal costs of the landholder, including legal costs relating to arbitration. Legal costs are likely to amount in the tens of thousands, so it would be a significant financial burden for landholders to cover even a portion of this cost, particularly if they simply wish to refuse access. 4. Oppose provisions relating to access permits for ‘environmental assessment’ and ‘surveys and sampling’. These provisions are dangerous, because they bypass any need for an access arrangement between the titleholder and landholder. Furthermore, such provisions do not even require the permit holder to hold an exploration licence, which means a much wider class of persons can potentially access their land. Activities permitted by the Government provisions are so broad in scope that such permits act as pseudo exploration. 5. Ensure landholders have the right to legal representation during arbitration. There is currently no right for landholders to have legal representation during arbitration in the Petroleum (Onshore) Act or Mining Act. This puts landholders at a severe disadvantage when it comes to negotiating access agreements. Landholders or their agents are therefore pitched against miners who are better skilled, qualified and resourced than landholders in negotiating access agreements. In an attempt to level the playing field, landholders should have the right to be represented by a lawyer in arbitration proceedings.